My husband, Donnie Brewer, was hospitalized at Methodist Hospital from November 1st until his passing on November 3rd. We had the blessing of having Daniel Gokie as our nurse for two days (on the 6th floor), the second being the day of my husband's passing. Daniel was warm, caring, compassionate, informative and thorough regarding my husband's care. When it became evident my husband's time was short, he was so sensitive to our feelings. He checked on us often, many times, just to see how we were holding up. Daniel was warm, caring, compassionate, informative and thorough regarding my husband's care. He was patient with the many visitors who filled the room and were many times in his way. He stayed beyond his shift; to be sure we were comfortable and made sure all of our questions were answered. Daniel made a very, very hard situation bearable. I felt that he was the answer to the many prayers I had said over the past years of my husband's illness and imminent death. This world needs more people like Daniel Gokie in it. Daniel was recognized for his care and compassion with a DAISY award based on the nomination of this family. 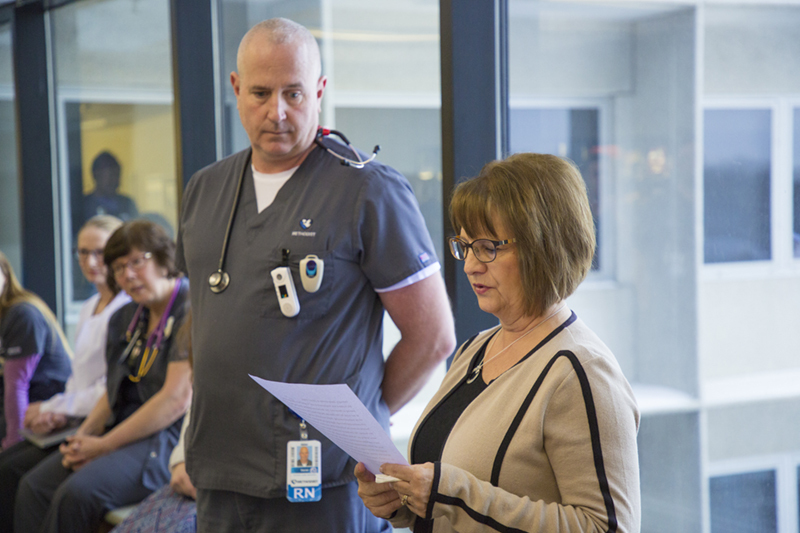 The DAISY award is a nationwide program rewarding and celebrating extraordinary nurses. Read more about the Brewer family’s experience with Daniel.